Arizona high school students graduating in 2018 placed 45th among the 50 states and the District of Columbia in performance on the ACT college-entrance exam. The average score of the roughly 45,000 students who took the exam (about 66 percent of the 2018 graduating class) was 19.2 out of 36. The national average was some one-and-a-half points higher, at 20.8. Connecticut, Massachusetts and New Hampshire posted the highest scores, all over 25 points. Among the 7 other states that had a similar proportion of their students take the ACT test as Arizona did, Arizona finished eighth in composite score. 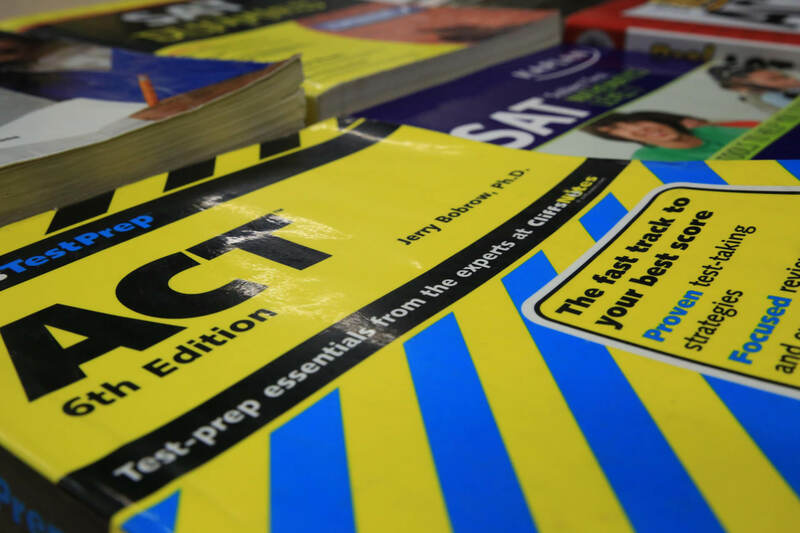 The leader in that peer group, which was identified by ACT’s analysis of the scores, was South Dakota, which tested 77 percent of its students and had an average score of 21.9. The 2018 results are a drop from 2014, when the average score for Arizona students was 19.7. The average scores of Arizona students in all subject matters — English, reading, math and science — have dropped since 2017 and 2014, according to an analysis done by ACT. English scores fell from 18.8 in 2014 to 18.2 this year. Reading scores were 20.0 in 2014 and 20.1 last year, but were only 19.5 this year. Math scores dipped from 20.2 in 2014 to 19.4 this year. And science scores were 19.8 last year, but dropped to 19.2 in 2018. Only 19 percent of Arizona students graduating this year met the ACT benchmarks in all four subjects. In both 2014 and 2017, 21 percent met the benchmarks. Nearly half of the test-taking students, 47 percent, failed to meet the benchmark in all subjects. Within its peer group, Arizona ranked last or tied for last in English, reading and science in the percentage of students meeting the benchmark. It finished tied for 6th in math, beating New Mexico. To better prepare high school students for college and career readiness, ACT urges states to increase funding for public education, particularly for teachers. “The teaching profession must be elevated, with higher salaries and greater levels of respect, to attract talented new instructors to the occupation,” ACT said. It also called on schools to implement improvement strategies for struggling students in elementary school, provide equitable resources for underserved students and ensure a holistic education that includes social and emotional learning. What percentage of AZ students took the ACT in 2014-2017? I know my district (Gilbert) tested all juniors in the spring of 2018 for the first time. If this is a trend across the state, it will send our state averages down, as students who are not planning on college may not have taken the necessary courses or have the motivation to do their best on the ACT. I know even my college-bound daughter didn’t take the first round very seriously because it was free and she knew she could take it again. She thought of it as a “prep” round. It’s disingenuous to say our state ranks near the bottom when the comparisons between states are clearly not apples-to-apples because of the differences in student populations tested. If every state tested every student, then it would be a different story. Hi Diann– AZ tested 66% of its students, and AZ recently increased the requirements regarding students taking a college entrance exam, either ACT or SAT.